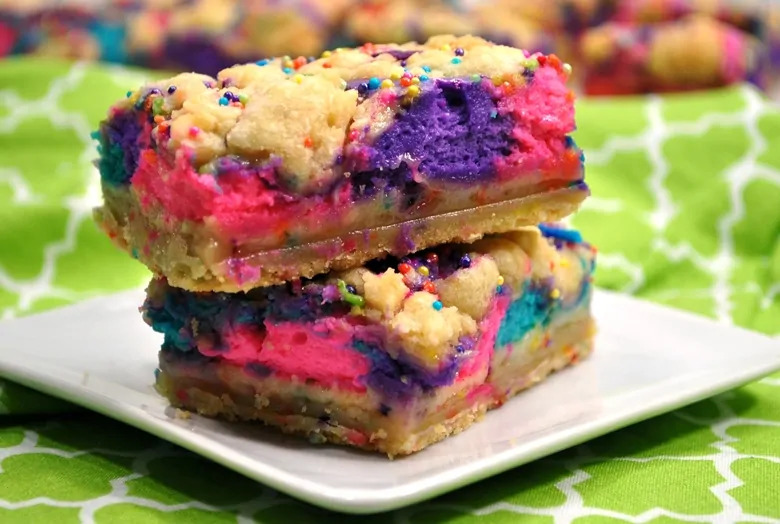 These unicorn bars are a delicious mix between sugar cookies and cheesecake — and they are decorated to give them a magical unicorn look. 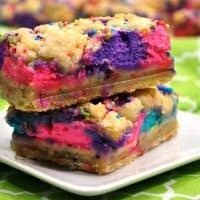 After sharing recipes for unicorn cheesecake, unicorn popcorn, and unicorn cookies, we are back with another delicious unicorn recipe for you all! And oh my goodness — these bars are absolutely amazing. They are the kind of dessert that actually looks as magical as it tastes. If you love all things magical, you are going to love these bars. Not only are they colorful and covered in sprinkles, but they’re a mixture between sugar cookies and cheesecake! With a combo like that, how could you go wrong? Whether you make them for your unicorn party — or just because — you are going to love this fun and colorful dessert! 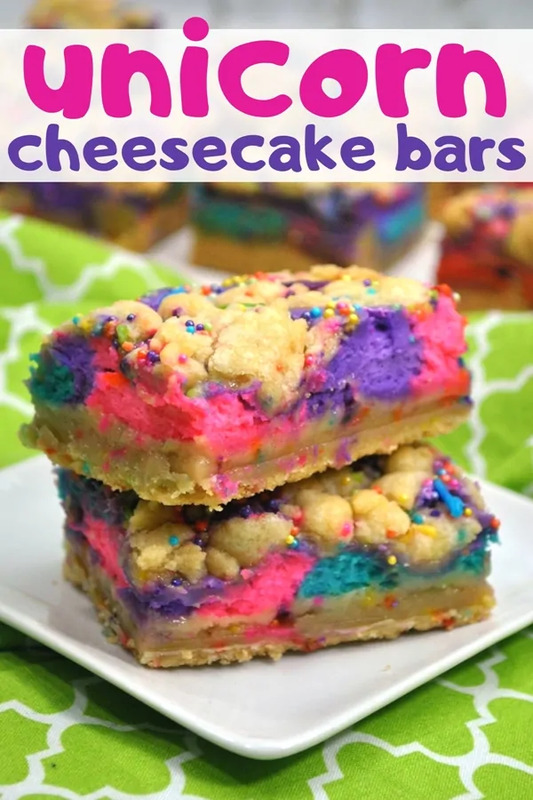 These unicorn cheesecake bars are a delicious mix between sugar cookies and cheesecake -- decorated to give a magical unicorn look. In a separate bowl, beat the butter and sugar until light and fluffy, about 2 minutes. Mix in egg and vanilla. Add the dry ingredients to the wet ingredients and mix until dough forms. Add about 1/4 cup nonpareils and mix into the dough. Preheat oven to 350. 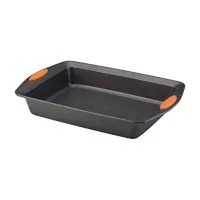 Line baking dish with parchment paper. Press ¾ of the cookie dough into the bottom of the baking dish in an even layer. Set aside remaining ¼ dough for step X. Beat cream cheese and sugar with mixer until well blended. Add eggs, one at a time and beating until combined before adding the next egg. Stir in sour cream and vanilla. Mix until combined. Divide batter into 3 bowls. Add a few drops of food coloring gel into each bowl and mix well to combine. 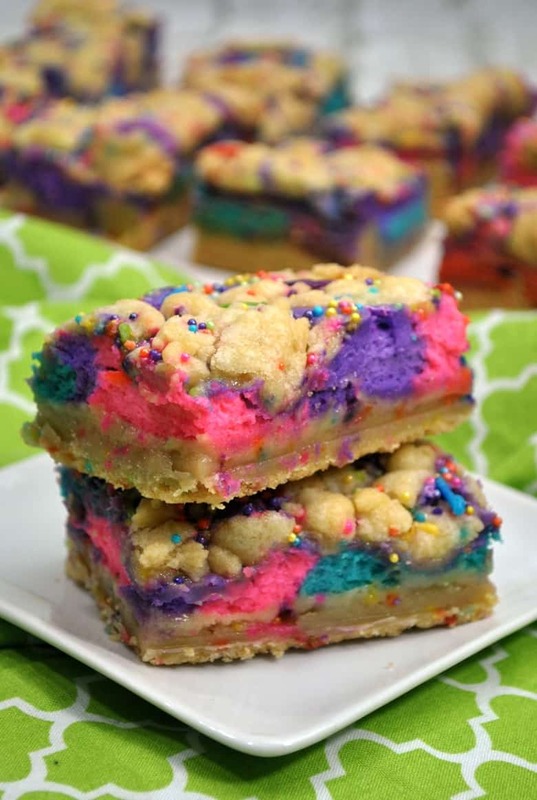 Using a tablespoon, drop the batter on top of the cookie dough layer, alternating colors. Crumble the remaining cookie dough on top. Finally, sprinkle with more nonpareils. Bake 70 minutes. When timer goes off, turn off the oven and crack open the oven door. Allow to cool in the oven for 1 hour. Transfer bars to refrigerator and allow to cool for a few more hours (or overnight) before serving. We used a mixture of light green, light blue, hot pink, yellow, purple, and orange nonpareils but you can use rainbow nonpareils or even these awesome unicorn sprinkles.